1st October 2018 – The anchor winch is fully working now. I mounted the last break. Another item I can remove from my list. 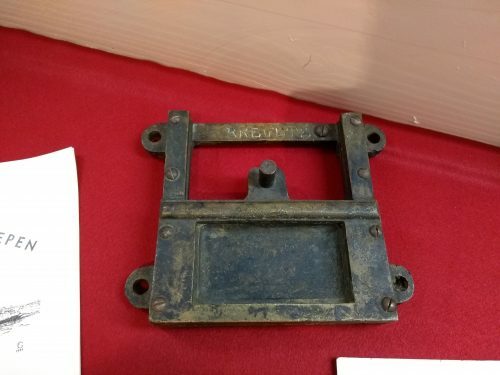 30th September 2018 – I had to unload some objects for the museum. The weather was good, so I opened for the afternoon. Without any publicity, I had 18 visitors. Great! 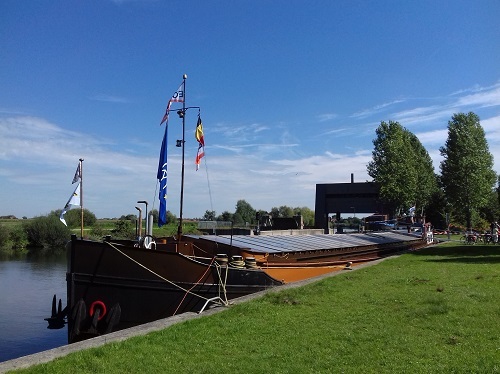 29th September 2018 – I went to the Lekkodagen in Wijk-bij-Duurstede, a small event in a small town. It is probably one of the best events I went to this year. 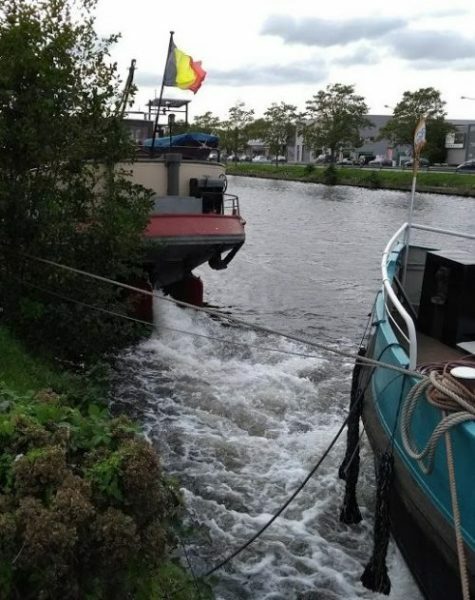 Free parking next to the event, free toilets, making a trip on a steamtug for only 5 EURO, …. The steamtug was Jan de Sterke, being handled by a friendly crew. I had the chance of standing in the engine room during the trip. Some people were selling old equipment and spare parts on their deck. I found stuf for the Watergeus and Tordino. 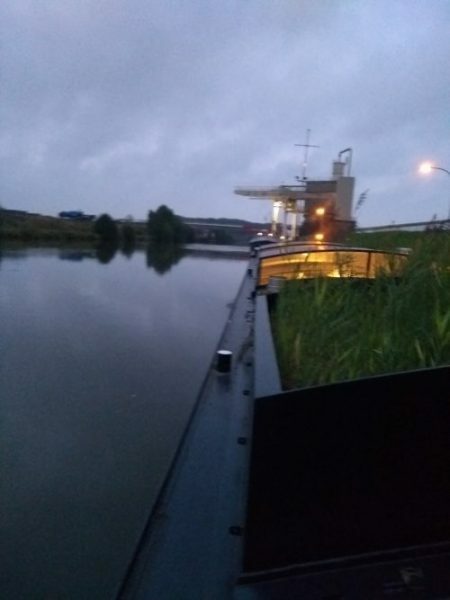 27th September 2018 – I just got the news the Watergeus will be dry-docked around the 15th October instead of next Monday. Nothing I can change, so I have another week of small stuff I can do aboard my ship. 24th September 2018 – The Watergeus hasn’t moved since a few years. Not very professional. I started undoing the ropes of one neighbour. 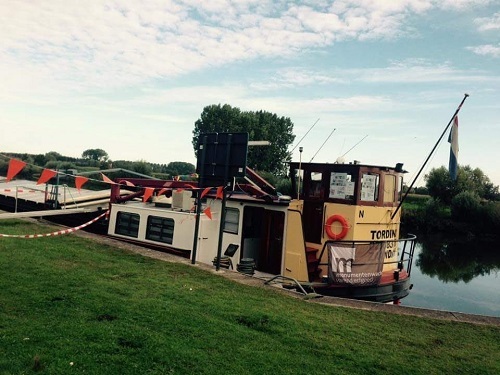 Her boat is now attached to the wooden support of the canal. 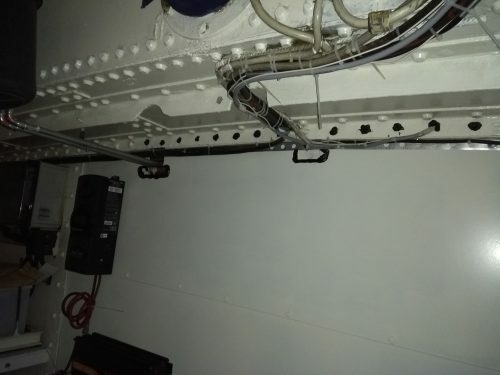 I did a small paint job in the engine room and sealed a forgotten hole in the bulkhead. The exhaust of the generator is now also insulated. 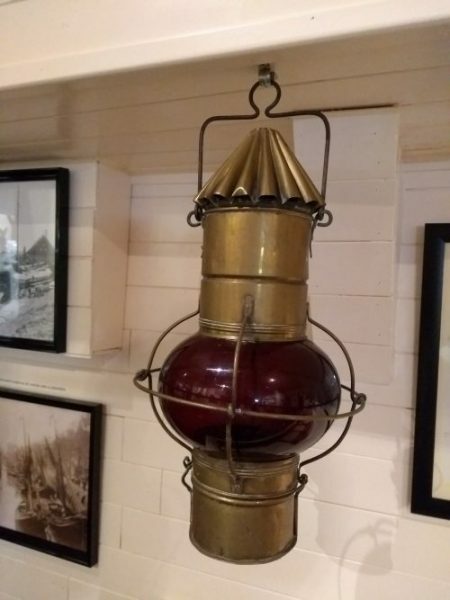 22nd September 2018 – While my museum was open, I put some more stuff out for the visitors. 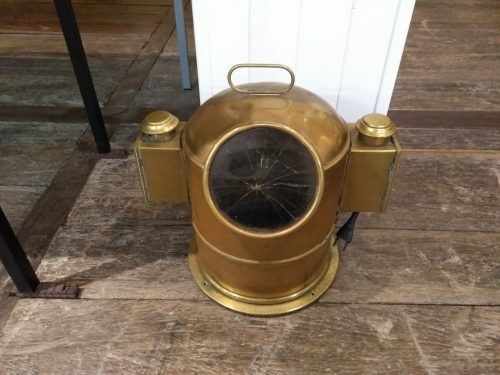 My parents found some old Sailor equipment in their garage. I must have dropped it there years ago…. It is a nice addition to the collection. 16th September 2018 – Call it a mission impossible to clean my workshop aboard Tordino. Next week, there is a garage sale. I have plenty of stuff I will never use (again). I loaded everything in boxes and brought it to my parents. In the afternoon, I did some smaller jobs aboard the Watergeus. 15th September 2018 – I wasn’t expecting the engine to run or even to see the Aquarel (now Marie-Louise) moving when I called the owner. They left Amsterdam when I called and we arranged to meet them in Huizen. I arrived a little earlier then expected, but managed to take some great shots from the top of the harbour entrance. There were no words to describe how I felt. We talked for some time with the owners, went on board and had a look in the engine room and hold. 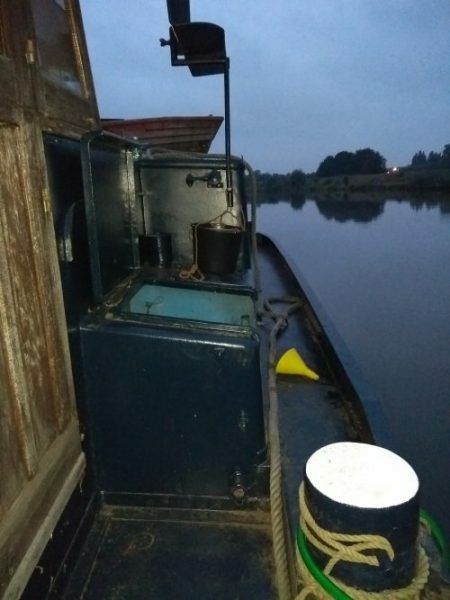 15th September 2018 – Two years ago, I was in Ihlow to pick up a friend’s barge. There was a museum, but it wasn’t open. Today I drove over 1200km to visit the museum. It was worth it! 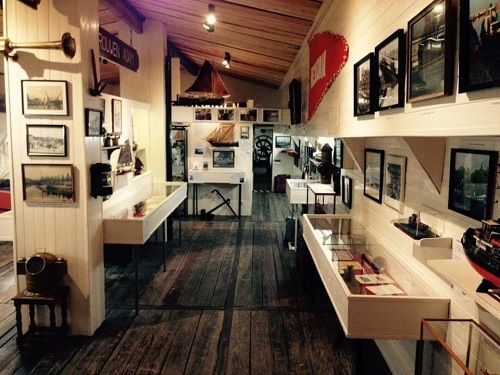 A big collection of models, documents and objects. 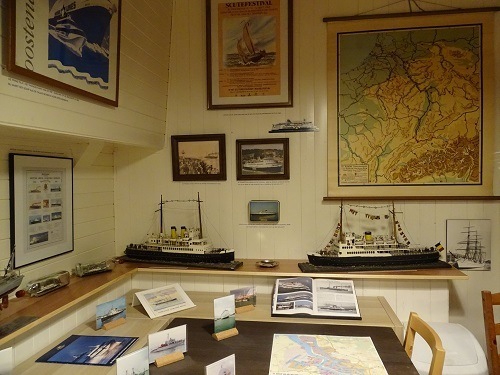 It was a mixture of inland shipping, passenger ships, tugs and Navy vessels. I spent more then two hours watching most of it. I should go back to see it a second time. There were no boats at the yard, so I decided to call the new owner of the Aquarel to see if they were around in Amsterdam. I had to drive there to get back anyway…. 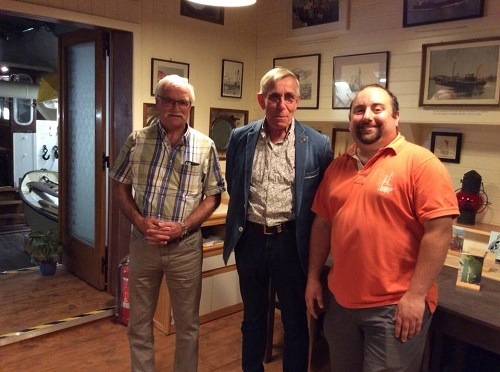 14th September 2018 – 65 books arrived, all about Dutch sailing barges. It is a great addition to my Library aboard Tordino. It might take some time to add them to the inventory. 10th September 2018 – Preparing the Watergeus for the yard is more then just filling up the tanks and getting the right tools aboard. I let the engine run with the shaft on for about two hours. Temperature was fine and never got over 80°C. While the engine was running, I cleaned the wheelhouse. It was a storage unit for the last couple of years. 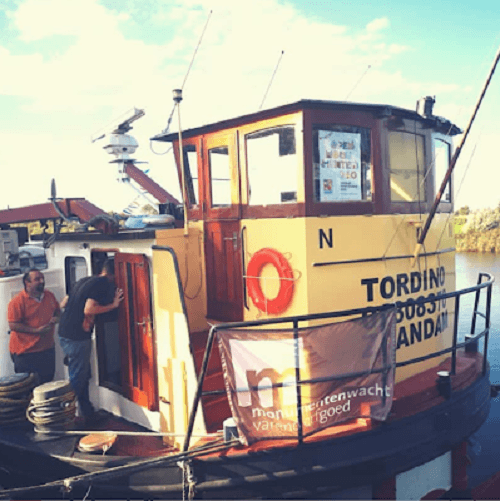 9th September 2018 – We had Open Heritage Day (Open Monumentendag) aboard Tordino. This is the second time we’ve done it. Last year was a great success. This year, the city decided in the end not to help, so we did it by ourself. With 391 visitors, we can’t complain! People came from Holland, France and of course Belgium. A mixed group of people. I sincerely wish to thank Haike and my parents for making this day work out! 8th September 2018 – I went shopping for small tables in second hand shops. I walked out with one table and two frames from the Belgian Navy. In the afternoon, I finished hanging objects and cleaned the ship. Everything should be ready now. 4th September 2018 – I’ve started on Tordino, taping the frames. Later in the evening, I drove to Aalter to help with my neighbours. 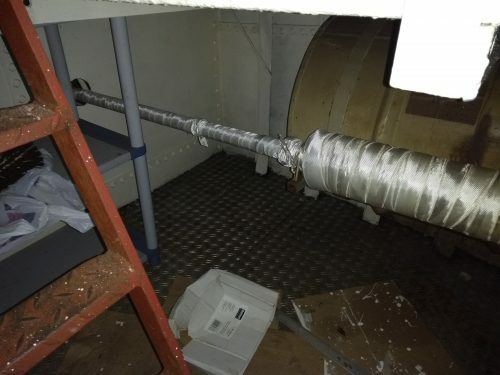 A diver came to check the cooling unit under the water line of the ship. Everything was clean; a bit of a disappointment. 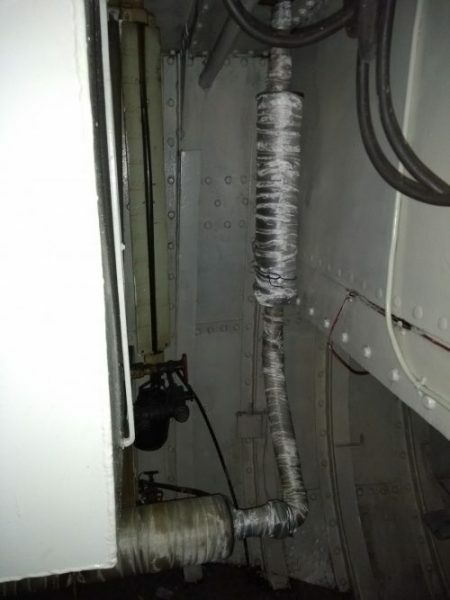 Now we have no idea what might cause the engine not to cool down. 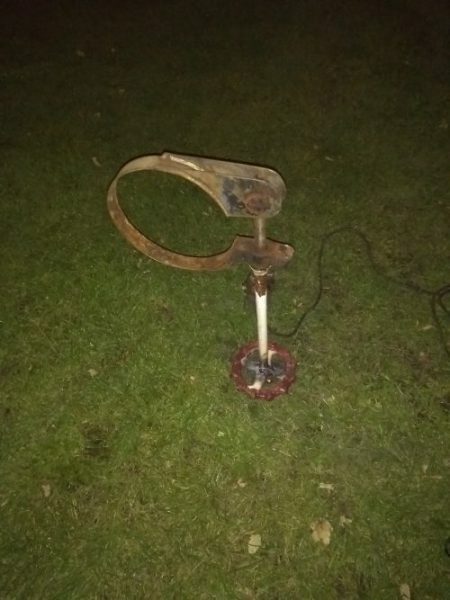 The only thing left might be a broken pump…. To be continued, somewhere next week. Another bit of this and that…. 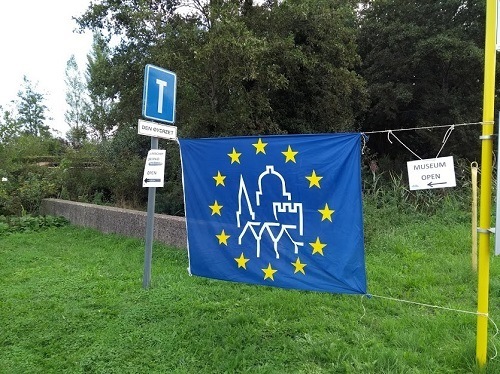 3rd September 2018 – The plan was to finish Tordino for Open Monumentendag. The object I got last weekend were mounted. Behind some paintings I put tape to make sure they wouldn’t loose if another idiot of a skipper is running with waves behind his ship. Later that evening I went back to my neighbour who was still in Aalter. We tried some more, but there is still no water coming out of the engine. We decided: no water = no sailing. We will call a diver for tomorrow.